This Workshop is 10.5m wide x 5.4m deep. 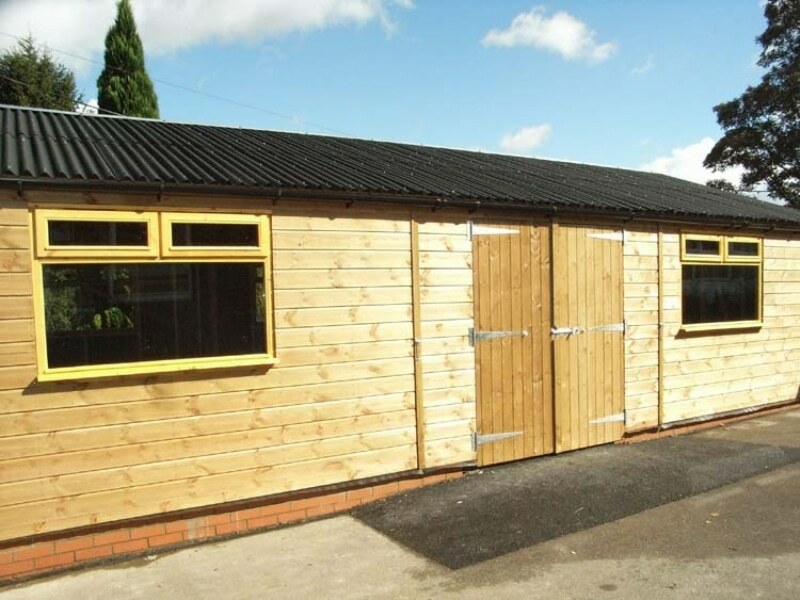 Supplied as standard with a Black Onduline Roof which is under boarded with Smart Ply. Fitted with one set of Double Doors @ 1.8m wide and personal doors (on one end). Casement windows are optional extras.